You won't look at prescription-drug advertisements the same way again after listening to this eye-opening audiobook. Although doctors know a lot about diseases, physiology, and psychology, most of them know extremely little about the real cost of the medication they prescribe to their patients. 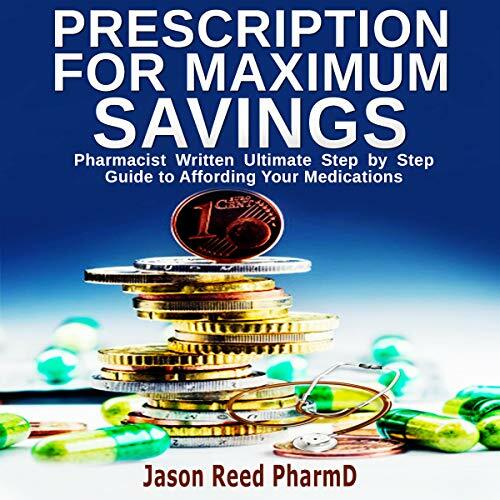 In this eye-opening audiobook, Jason Reed exposes the symbiotic relationship between Big Pharma, insurance companies, and health-care providers where profits, not the medical needs and financial well-being of patients, are the primary industry motivators. He explains how they trick unsuspecting patients with low up-front co-pays, only to cost you big time in the long run. How to optimize and make sense of all the options thrown at you and safely navigate the fine print of health-care contracts. Having worked for a large pharmacy benefit manager for well over a decade, Reed will equip you with all the tools you need to navigate deliberately confusing health insurance loopholes with this simple, step-by-step manual chock-full with money-saving ideas and obtaining health care at the best possible prices. Scroll up and click the button to buy now! Jason Reed graduated from Butler University as a doctor of pharmacy and has been involved in various roles with a pharmacy benefits manager for 15 years. He is an active member and experienced speaker in health-care industry organizations.